It’s hot in the DFW area. Last weekend was over 113 degrees here. That said, I still got some work done on my new display case for my long guns. When last we visited the project I had salvaged some wood for the case then created the outer frame. The next step was, of course, putting a back on the frame. 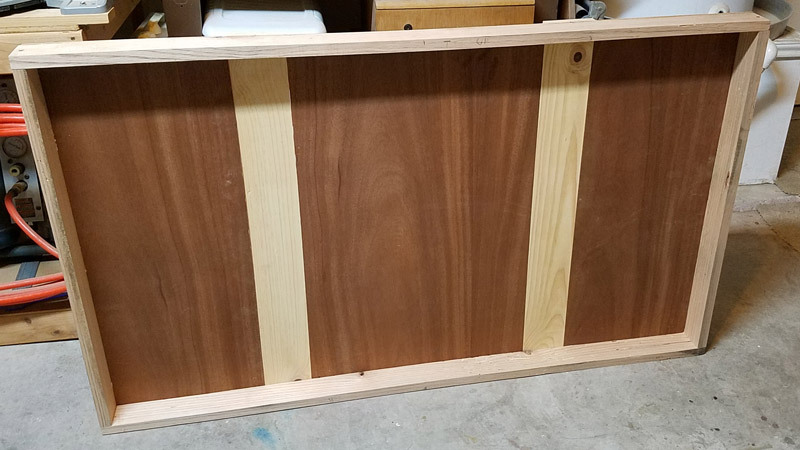 I had a few pieces of veneered 1/4 ply on hand and cut that up to fit three panels. In between those panels, I fitted some fir posts that the eventual pegs holding the guns will be fitted into. Some wood glue and an 18ga. brad nailer got the panels all secured, fitted and looking good. Well, as good as a cabinet that will wind up featuring 5 types of wood can be I suppose. Next was doors. 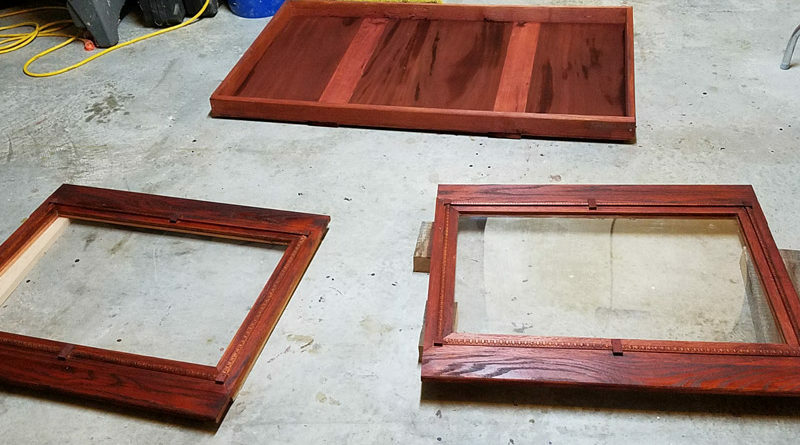 The doors to the case will feature a large window made from old picture frame plexiglass and oak frames around them. I began to mock up the raw pieces and cut them to length. After being cut I laid them on the frame to get reasonably exact fits. 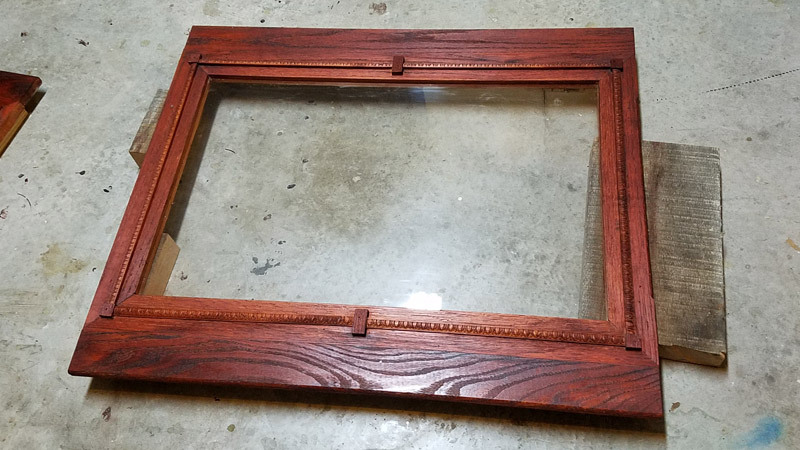 As it turned out I didn’t have enough White Oak in the pile of planed material to make all of the frames so I mixed in some 10-year-old Red Oak I had around the shop as well. Normally this would be frowned upon in most woodworking circles but for this project, it won’t matter much in the end. 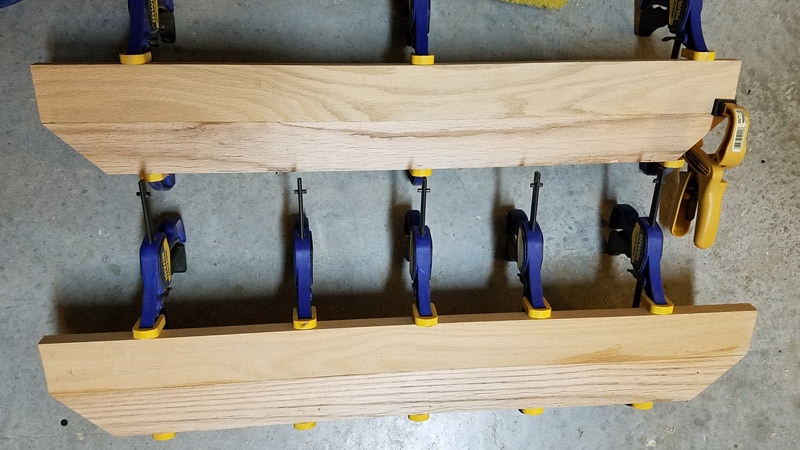 Glueing and clamping. Lots of glueing and clamping later I had the eight sides of door frames stuck together. 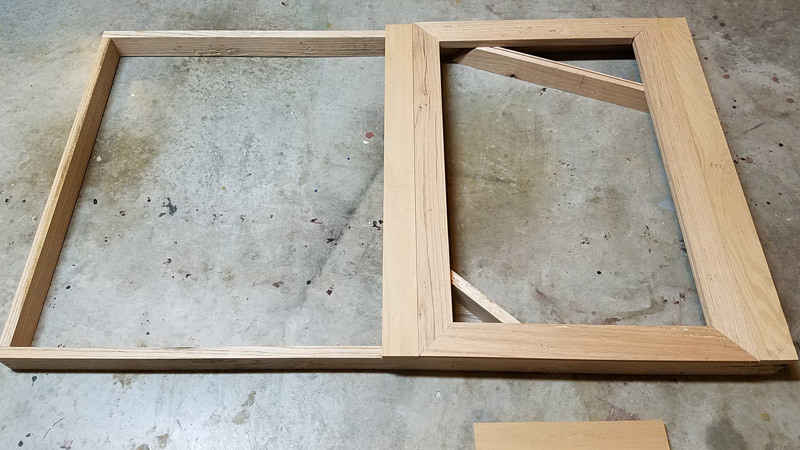 I measured the plexiglass earlier cut the channel for the glass windows into the inside of each of the frame sides. 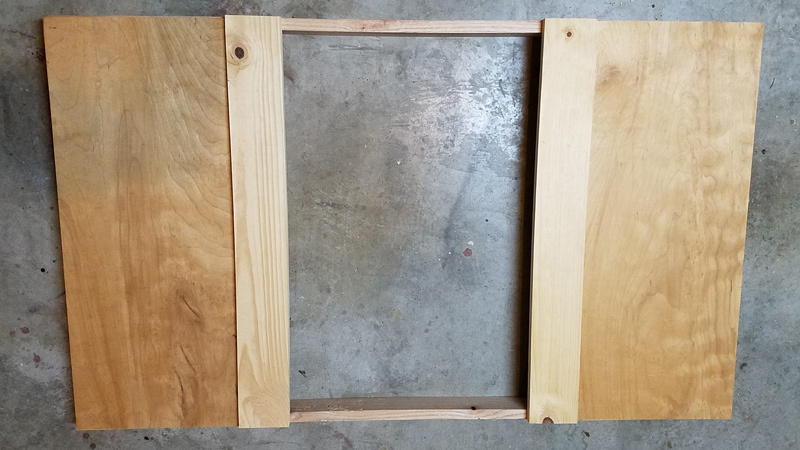 Once the frames were out of glueing clamps I took the trusty brad nailer and wood glue to the door frames and captured the plexi inside. The trick here is to make sure the whole thing doesn’t fall apart or come out of right angles before you get them together. 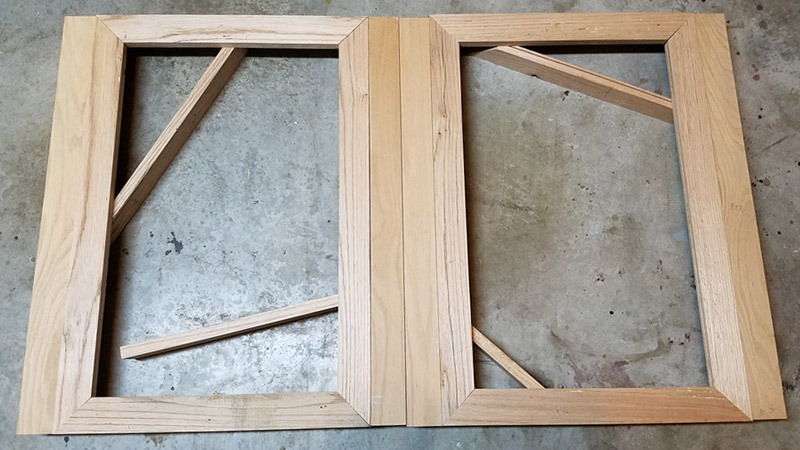 All in all, the doors came together nicely. Now a bit of color was in order. 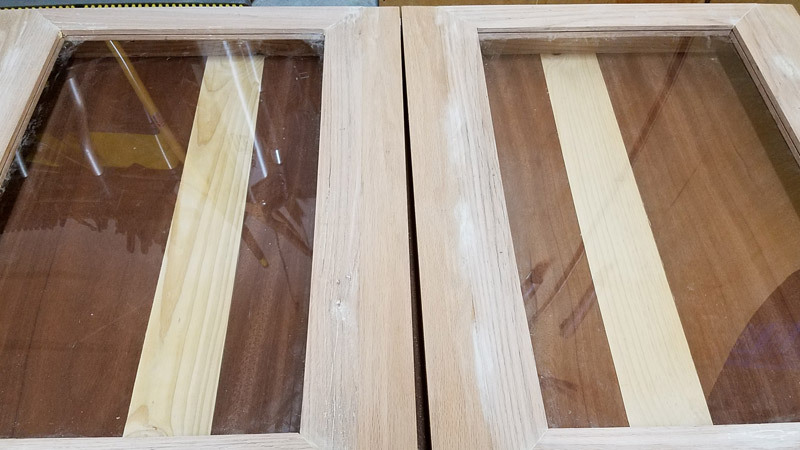 For this project, I mixed up some water based stain that evened out the color for the display case’s many wood types. 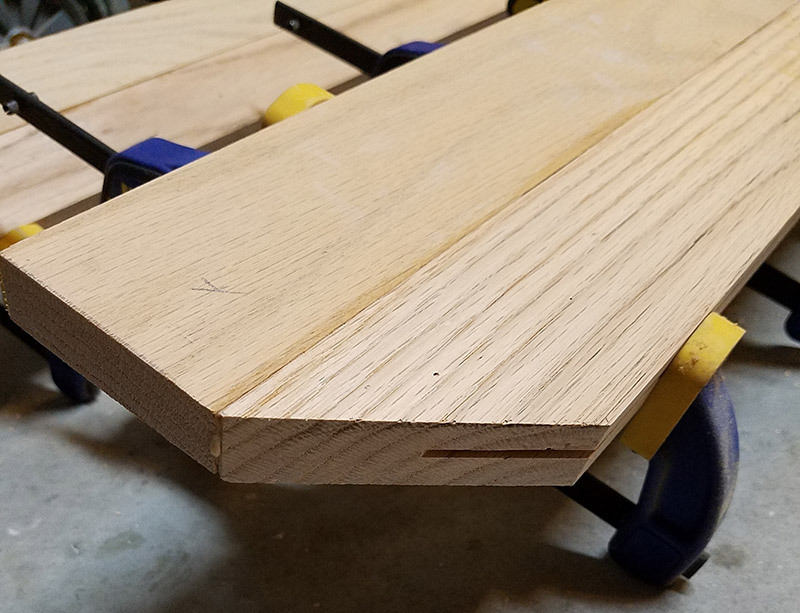 I also added a little trim I had laying around made from basswood with Red Oak corner squares. Not bad for what used to be piles of scrap and a few frames my other half was going to throw away. Next time, the final assembly and finish out!